With the help of George, two neighbors, a snowplow, a broken ice scraper, and Emmy (using a rake) I was on the road! It’s not every day I get to drive through an unplowed highway to celebrate this momentous day with one of our couples. Was it a little unnerving to drive by not one, not two, but THREE broken down snowplows? Should have been. There’s something about a wedding day that lights my soul on fire. I just drove a little slower and with a little more caution. Before I knew it I was greeted by MacKenzie’s best friends at MacKenzie’s parents’ house. I was thrilled to find the joyful celebration had already started! Champagne had been popped, the bacon had been cooked, and these girls were living! The most singable playlist kept our energy and excitement high throughout the morning. All I could think about was “This is already the most fun and I get to hang out with these girls again in June! I am the luckiest". MacKenzie, being the most chill bride, touched up her make-up while having her hair styled in the kitchen. When it was time to put the dress on, the excited nerves were coming through in nothing but smiles. I’m telling you - the power of a good playlist is infectious! Soon it was time to drive down the street to downtown Marlborough where Nico was awaiting our arrival. Little did we know, the area around the gazebo wasn’t shoveled yet! Without even a second thought, Nico, dressed in his suit starts shoveling. I know! We melted when the Justice of the Peace told us that after the ceremony. That’s the kind of guy he is! 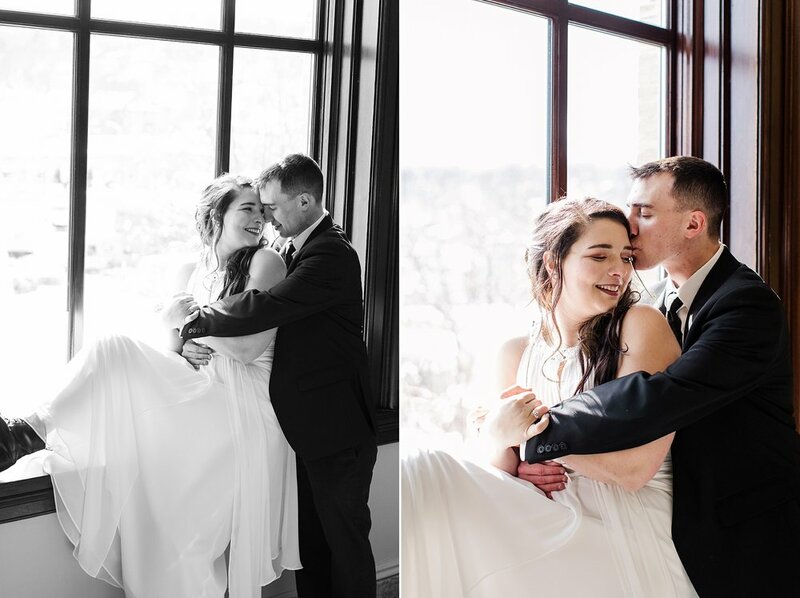 Our Eisley Grooms always find a way to make us melt at least once during a wedding day. With their loved ones looking on, MacKenzie and Nico shared a ceremony full of laughs and little moments that were so them! A roar of celebration filled the air when they officially became Mr. and Mrs. Schottenhamel! We sent their guests to warm up at Welly’s Pub just a few blocks away. The sun was shining, the freshly fallen snow was melting from the trees, and the winter air was crisp and inviting. I just knew this chilly portrait session would be full of laughs and a mini downtown Marlboro adventure! The MVP of the day is given in three parts: the first is MacKenzie for rocking Doc Martens under her gorgeous dress, the second is MacKenzie in general for braving the temps without her sweater on and the third goes to my L.L Bean boots! Ha! I couldn’t have captured any of these moments without them. Even with foot high snow banks I happily trudged along to get “the shot” at all costs. I hope you enjoy my favorite photos from this wonderful day! If this is the amount of fun we had on a snowy day in March, then I can’t even begin to imagine how joyful and fun MacKenzie & Nico’s June wedding reception will be. 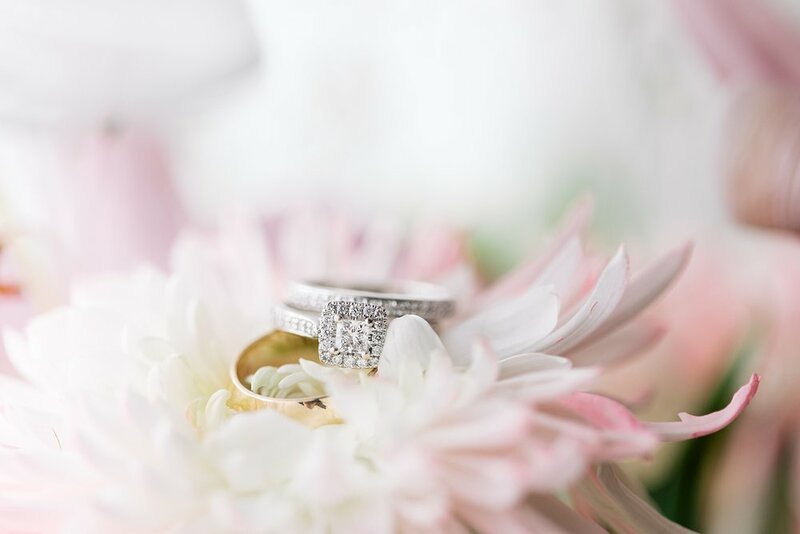 Eisley Images is a husband and wife wedding photography team for joyful couples who laugh loudly and love deeply. Christy and George live in Rhode Island with their hilarious and wickedly smart four year old, Emerson Eisley, and their half-blind rescue pug, Artie. When Christy isn’t photographing once-in-a-lifetime-loves, she can be found reading all the non-fiction books, listening to all the business podcasts, leading a group of creative entrepreneurs in the Rising Tide Society or dancing around her kitchen to songs she made up to tunes that already exist (the subjects of the songs are usually about Artie & Emmy). To learn more about them visit their ‘about us’ page!